Loyalty? 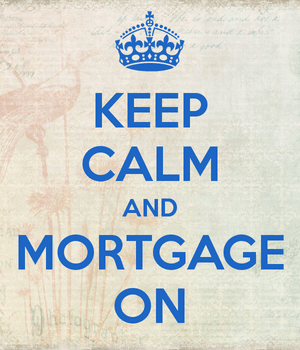 Not in the mortgage business. A new survey from HSBC revealed that 52% of U.S. homeowners “switched providers” (sorry, they’re British) when obtaining subsequent mortgages. This was mainly driven (53%) by the desire to get a better deal, aka a lower mortgage rate with fewer closing costs. The survey also found that 46% of consumers investigated a mortgage switcheroo, again either to get a better deal or because of rising interest rates. Other reasons homeowners decided to go with another mortgage company were because they moved and purchased a new property, or due to their current mortgage deal expiring. I think they mean an adjustable-rate mortgage resetting. Anyway, it’s really no surprise consumers don’t stay with their original mortgage lenders. Aside from some existing lenders talking borrowers out a mortgage refinance, the product is mostly the same no matter where you get it. These days, the majority of home loans are backed by the agency guidelines of Fannie Mae, Freddie Mac, or the government via FHA loans and VA loans. I think it’s something like 90% of mortgages. This means mortgage loans are pretty homogeneous, despite what channel they’re originated in, or which institution provides the financing. You could get the same exact home loan from a local credit union, a big bank, an online mortgage banker, or a mortgage broker. And who really cares where you get your mortgage as long as the company is competent enough to close the thing, and honest in terms of rate and fees? It’s not like you’re going to walk around and brag about your cool mortgage from X bank after the fact. It’s certainly not a status symbol, or a conspicuous transaction. I’m pretty sure I’ve never had a conversation about someone’s branded mortgage before. And I doubt an “influencer” is going to post about theirs on Snapchat. This is exactly why insurance companies use celebrity endorsements and smart marketing gimmicks to get you to switch, or conversely, to stick around. Car insurance isn’t cool or exciting and never will be, nor will mortgages. Ultimately, we’re all being sold the same thing, it’s just that some companies try to differentiate themselves by slapping clever names onto their products. For example, Quicken Loan’s Rocket Mortgage is about reinventing the mortgage process, not the mortgage itself. You’re still probably going to get a 30-year fixed home loan or some other ordinary mortgage. It’s just the way you get it that might change. Instead of meeting face-to-face with a banker, you might upload documents on your smartphone and authorize the release of documents electronically. This could make the experience a lot easier and more pleasant, but it doesn’t mean you’re necessarily getting anything different. Because everyone is basically offering the same thing, it comes down to price, customer service, and now perhaps clever marketing. The one exception is portfolio home loan programs, which are actually unique to the mortgage lender providing them. These are loans kept on the originating bank’s books that contain distinct underwriting guidelines. We’re starting to see more of them, though most lenders remain fairly cautious with the mortgage crisis still a not-too-distant memory, despite taking place a decade ago. For example, a lot of the zero down mortgages you see are unique to the companies offering them, the latest one I came across from Ideal Credit Union. And some of the so-called fintech disruptors like SoFi Mortgage are actually providing unique offerings like a 5/1 ARM with an interest-only option and jumbo loans as high as $3 million with just 10% down. Those exceptions aside, many of us have very similar mortgages that are only unique in terms of where they came from. As noted, most of today’s mortgages are conforming loans, meaning they meet the guidelines of Fannie and Freddie. Or they’re simply backed by the government via the FHA, VA, or USDA. That’s why you have to ask yourself – if the company isn’t offering anything different, why pay more? Might as well bargain shop and find the best mortgage rate with the lowest closing costs, instead of simply going with a household name.